Narla, as this beautiful diamond is called at home, is the only female from her mother Bae and in her litter of 7 brothers. She is a fiery soul, with attitude, well she had to, to be able to keep up with all the boys. Narla lives with and is loved by Jacquie and Jacob. Narla gets her name as a tribute to Jacquie's previous dog, Indi. While she is no show dog, we do hope to incorporate her in our future plans. She is developing much the same way her mother did, which has us excited. She has been hip scored, with average hips of 16 and elbows a clear 0/0. She is also dna tested and clear for the DM, CMR1 & HFH-B genes. Narla was heart examined via Echocardiogram on 20/01/2018 by cardiologist Dr Neik Beijerink and was clear for heart disease. We welcomed Nala's first litter into the world on 18th May 2018. You can see her daughters LILLY, RIZO & BERTIE and son HARRY by clicking on their names. 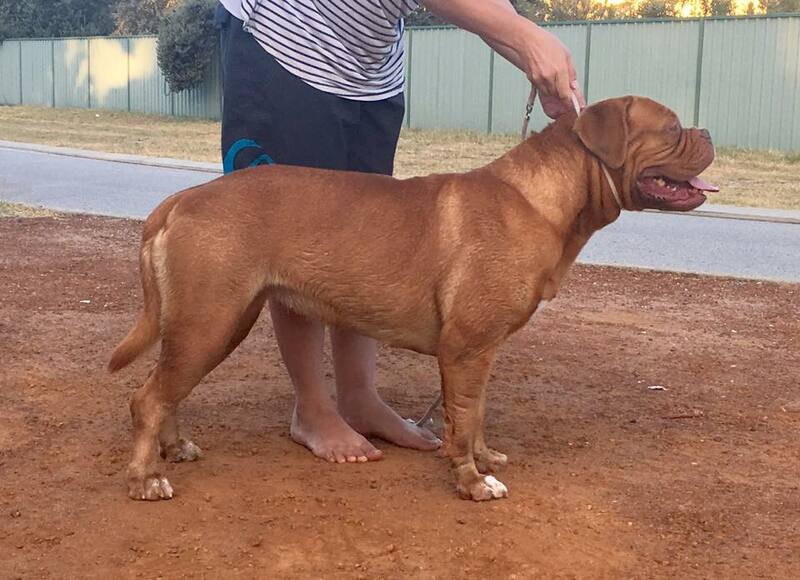 Sired by Australian Champion Amedange Once In A Blue Moon aka Remy.